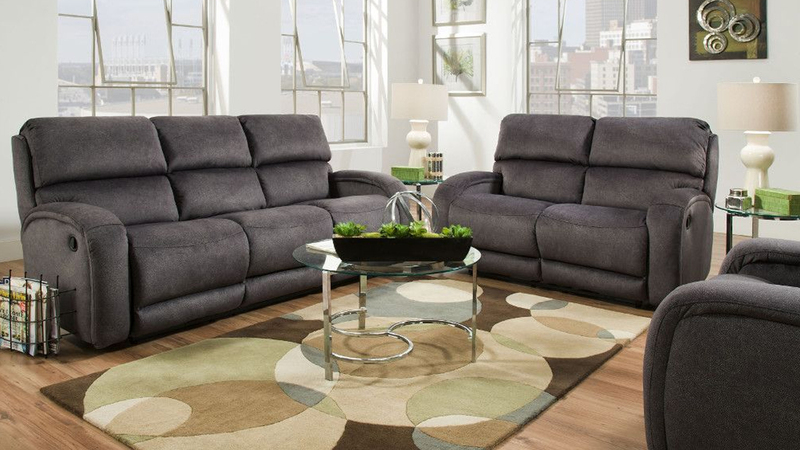 Pair the Radical Rocker Recliner with the Radical Living Room to complete the look. The Radical Rocker Recliner features radius arms and easy to clean, soft, suede fabric, perfect for any transitional living room. 45" X 43" X 39"